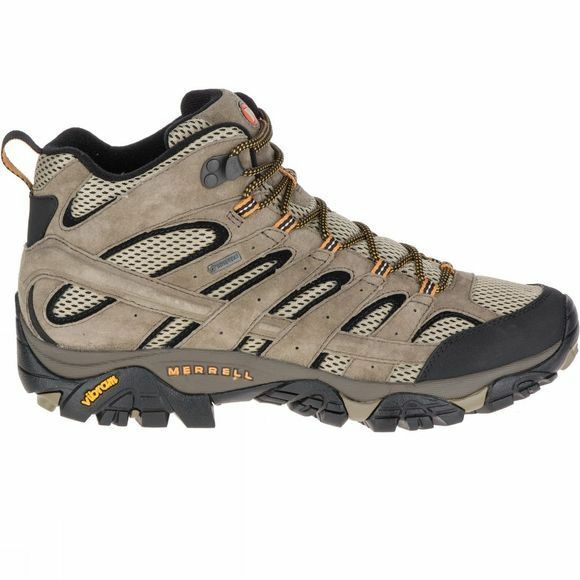 The Men's Moab 2 Mid GTX Boot from Merrell is a comfortable and supportive mid-height boot that features a GoreTex lining for excellent breathable, wet weather protection. 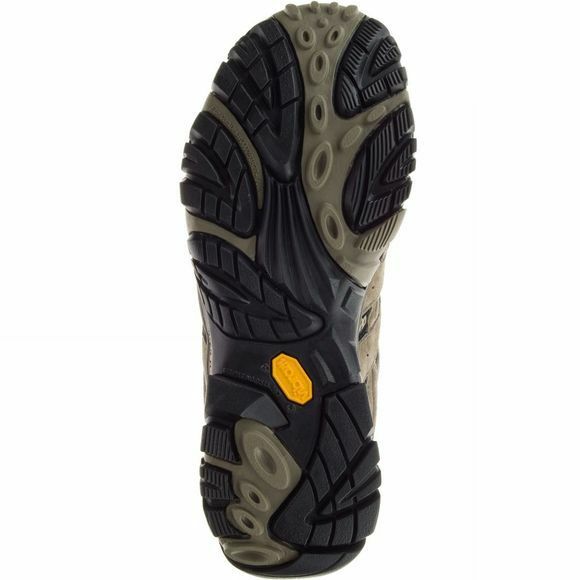 Perfect for light hiking and trekking it features a durable Vibram outsole that will offer sturdy grip over variable terrains and the protective toe cap offers extra protection to your toes and boot through those inevitable scuffs and accidental trips. The bellows, closed-cell foam tongue keeps moisture and debris out to help the out-of-the-box comfrt experience last even longer. When Randy Merrell produced the first Merrell hiking boot, he modelled it on a timeless icon of adventure, the leather Cowboy boot. Since that first handcrafted design, Merrell have grown into a global leader in adventure footwear, as well as producing a range of outdoor clothing. Today, Merrell are always looking to innovate by rethinking the way your footwear fits, functions and interacts with your body. Their natural running range has popularised an ancient style of running and by tirelessly developing and refining key pieces, they have been able to take their breakthroughs and apply them to the entire range.